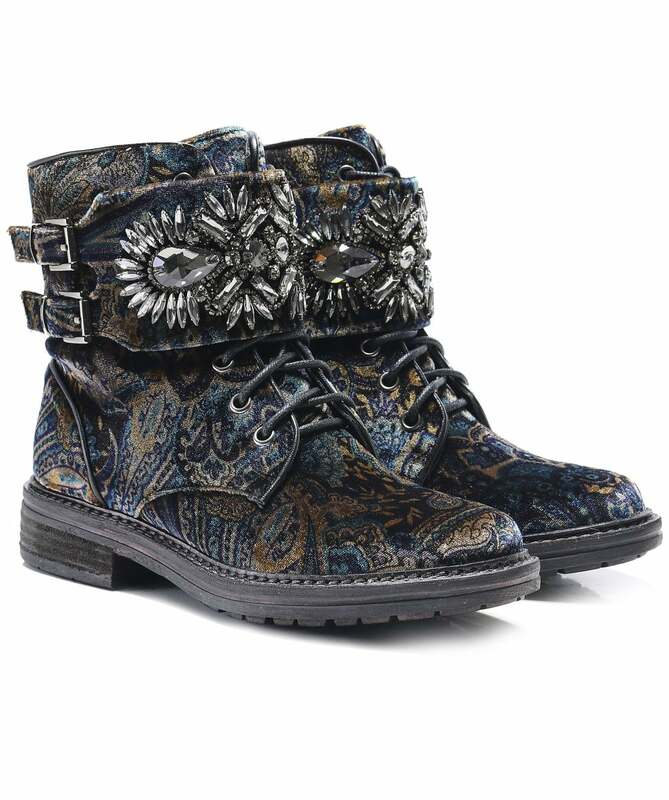 Refresh your casual ensembles this season with the Alma en Pena embellished strap boots. Beautifully crafted in opulent velvet, these boots are adorned with a glamorous floral print for a timeless charm, while the jewel embellished buckle strap and lace-up fastening provide a rebellious, modern edge. Complete with a side zip fastening, fleece lining and hard-wearing rubber sole to ensure long lasting comfort.